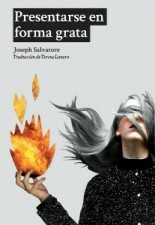 Joseph Salvatore ha publicado ficción y crítica literaria en The Brooklyn Rail, Dossier Journal, H.O.W. Journal, LIT, New York Tyrant, Open City, Post Road, Salt Hill, Sleeping Fish, Willow Springs, 110 Stories (NYU Press, 2001) y Routledge’s Encyclopedia of Queer Culture (2003). Es crítico literario habitual en The New York Times Book Review y profesor agregado en The New School, donde fundó la revista literaria LIT y recibió el premio New School’s Award for Teaching Excellence. Vive en Nueva York.